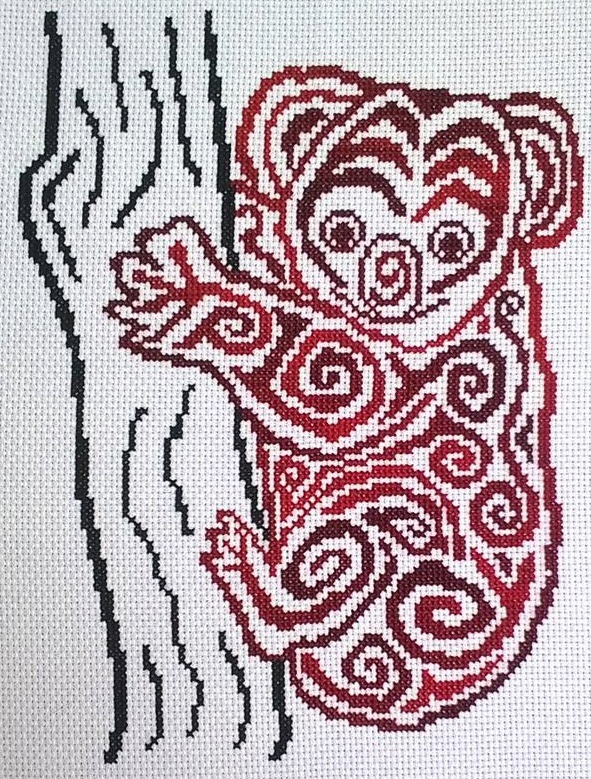 This cute Tribal Koala is a unique outline chart measuring 98 stitches wide by 138 stitches high, and has been designed to use whatever colours you choose for stitching, and is perfect for hand dyed threads and fabric. 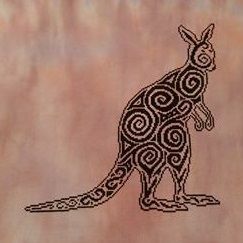 If it is stitched all in the same colour, you should need two skeins of thread. 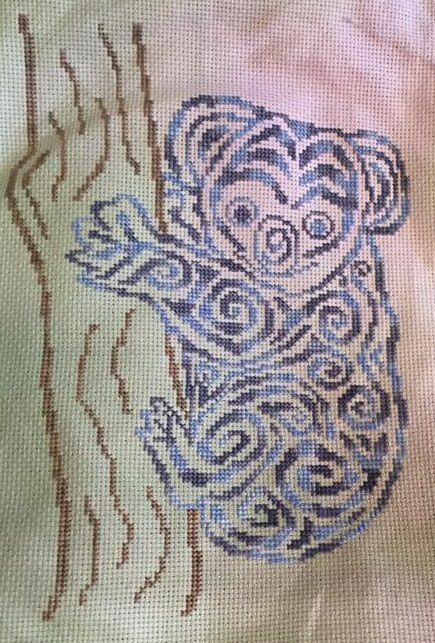 If you choose to stitch the tree and koala in different colours, you will need one skein for the tree, but still two for the koala. The first picture shown was stitched by Jill. 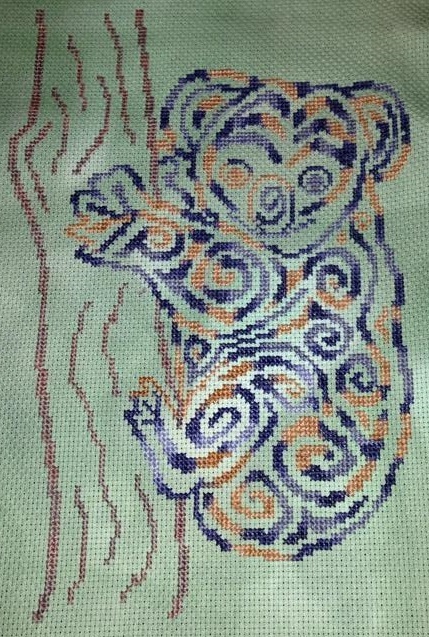 The second picture shown was stitched by Erica. The third picture shown was stitched by Kim. 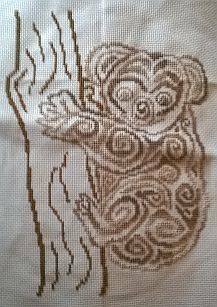 The fourth picture shown was stitched by Gill. 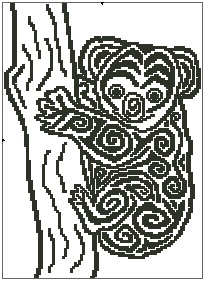 The last image shows the software generated mock up of how the piece will look.